The annual back-to-school season is filled with high hopes for making new friends, meeting new teachers – and, from the view of many policymakers – promoting gains in science achievement. Scientific learning and research carry substantial economic benefits. Historically, however, not all groups have excelled in science equally. Black and Hispanic individuals as well as women have been less likely to enter or persist in science-related studies or occupations. These gaps have been well-studied at the level of high school and higher education. These gaps, however, actually start much earlier. My recent research found that these gaps exist at the level of kindergarten. However, these gaps can also change significantly in the first two years of schooling. In a recent study, my research assistant, Ann Kellogg, and I examined the science performance of over 10,000 kindergarten students who began school in 2010. We analyzed data from a national study called the Early Childhood Longitudinal Study (ECLS-K) conducted by the federal government. The data included science achievement tests that assessed concepts in physical, life and environmental science as well as scientific inquiry. Examples of science instruction in kindergarten includes studying how plants grow, experimenting with erosion on a water table or constructing a picture of the solar system. Previous research had examined science gaps in early grades. Our study, however, looked at science gaps as early as kindergarten with newer data and better science achievement tests. Our study revealed large gaps in science achievement in kindergarten between white students and racial or ethnic minorities. And, where science gaps existed, we found that they were generally larger than the gaps in reading or mathematics achievement. However, we did not find significant gaps by gender. On average, black students and Hispanic students performed significantly lower than white students on the science achievement tests in kindergarten. Approximately 41 percent of black students and 49 percent of Hispanic students scored in the bottom 25 percent. In comparison, only 12 percent of white students were in this category. The difference in science achievement between black or Hispanic students and white students is roughly equivalent to what an average elementary student learns over a period of nine months between kindergarten and the end of first grade. The gaps between black, Hispanic and white students might be expected given similar gaps in mathematics and reading. Asian students performed lower on science. What surprised us was that Asian students in our study performed significantly lower than white students in kindergarten on the science achievement test. Approximately 31 percent of Asian students scored in the bottom 25 percent on the science test. In contrast, only 12 percent of white students did so. This gap was present even though Asian students performed as well as or better than white students in mathematics and reading. Interestingly, unlike the black-white gap, the science gap between Asian and white students closed rapidly between kindergarten and the end of first grade. In fact, by the end of first grade, the gap had reduced by almost 50 percent. It’s unclear what causes this rapid decrease in the Asian-white science gap. However, what it does show is that achievement gaps are not stagnant. Prior research conducted by scholars David Quinn and North Cooc showed similar findings. By eighth grade, Asian student performance in science was equivalent to or higher than that of white students. Other researchers have also found Asian students’ performance in science increases rapidly relative to white students throughout elementary and middle school. Additionally, we found no difference in science achievement between boys and girls in kindergarten. A small male advantage was evident only in first grade. This too is an important finding given the documented gender gaps in the later grades of elementary school. Prior work has found that boys outperform girls in science at third grade. Similarly, results from the National Assessment of Education Progress (NAEP) show a male advantage in science in the fourth grade. Our work shows, however, that these gaps in later grades do not extend back to kindergarten. Instead, boys and girls appear to begin schooling on relatively equal footing when it comes to science achievement. It is only as they progress through school that the gender gap emerges. Finally, we found that the kindergarten gaps by race or ethnicity tend to be larger in science than in mathematics or reading. For example, on the kindergarten achievement tests, the Hispanic-white gap was about twice as large for science as mathematics or reading. Similarly, the black-white gap was slightly larger in science than in mathematics and was about twice as large as the gap in reading. It is possible that students lagging behind in math and reading struggle even more in science as it requires the application of language and mathematics to scientific content. In sum, our findings point to the importance of the early elementary grades for equity in science achievement. We show that many gaps, such as the black-white gap, already exist when students start school. We also show, however, that these gaps can change significantly in the first two years of schooling as evidenced by the Asian-white gap and the emergence of a gender gap. All this means that the early elementary years may be an appropriate point for addressing inequities in science achievement. However, science instruction has not been a high priority in the early elementary grades. Recent research comparing kindergarten in 1998 to that in 2010 found that teachers cover fewer science topics than before and students spend less time using science equipment. 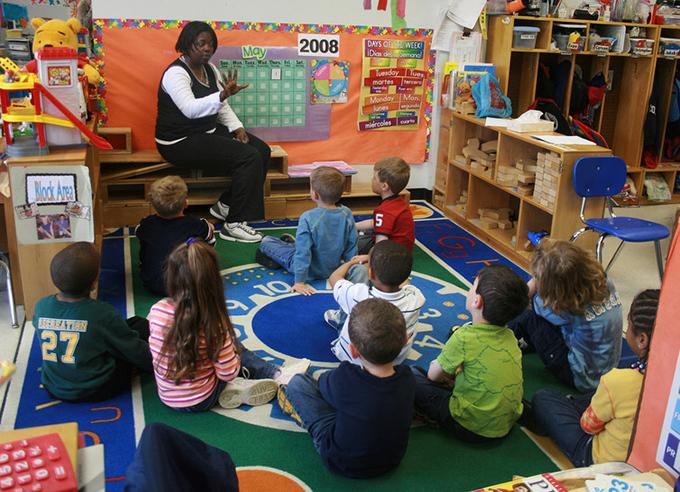 Furthermore, kindergarten classrooms today are much less likely to have science or nature areas. Indeed, in kindergarten classrooms, teachers spend only about a fourth of the amount of time on science that they do on mathematics or language arts. Our findings point to the need for increased emphasis on science in kindergarten and first grade. I believe, for example, that teachers and school leaders should look for opportunities to incorporate science concepts into reading and math lessons. Looking beyond the classroom setting, the findings of our work and that of others suggest the need to provide support to informal science learning opportunities. 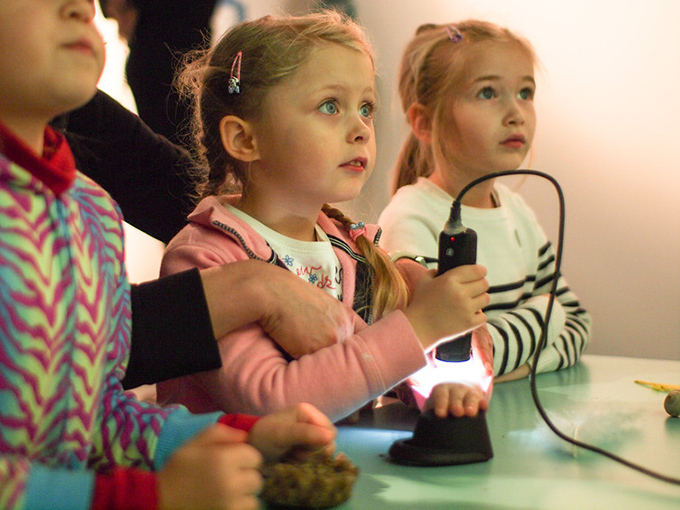 Visiting museums, interacting with nature and exploring novel tools all represent ways in which parents and caregivers can support early science inquiry. 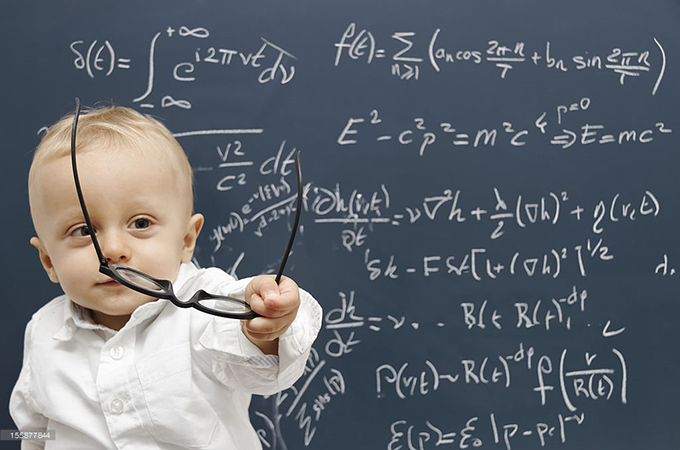 Science achievement gaps begin early. It is important that our policies and interventions take steps in those early years to ensure increased science achievement for all.